The 2017 Ford Edge Sport is a performance-oriented two-row midsized crossover with a distinctive look available in an all-wheel-drive configuration and a unique sport-tuned 4-wheel independent suspension that offers an excellent road-handling capability. It is powered by a 2.7Liter twin-turbocharged EcoBoost V6 (rated at 315 horsepower and 350lb. ft). 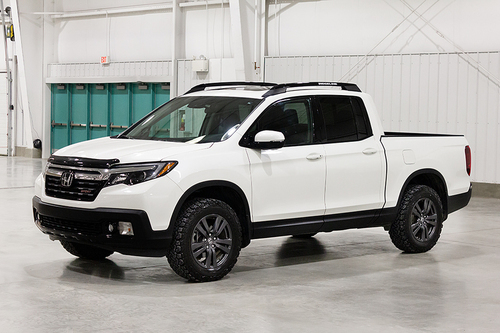 Its finely crafted interior offers you a 10-way power front seats with heating and cooling, a heated steering wheel, a unique 12-speaker Audio System from Sony and a Voice-activated Navigation System. The 2017 Ford Edge Sport has an impressive 73.4cu.ft. of cargo space when the rear 60/40 split seats are folded; with the Intelligent Access key fob, you can access the cargo space just by kicking your foot under the rear bumper. This Ford Edge gets some special aesthetic treatments like High-intensity discharge (HID) headlight pods, piano-black grille with Magnetic accents, aluminum pedals, illuminated door sill plates, Unique lower front and rear fascias, and Body-colored heated side view Mirrors with integrated LED turn signal indicators. 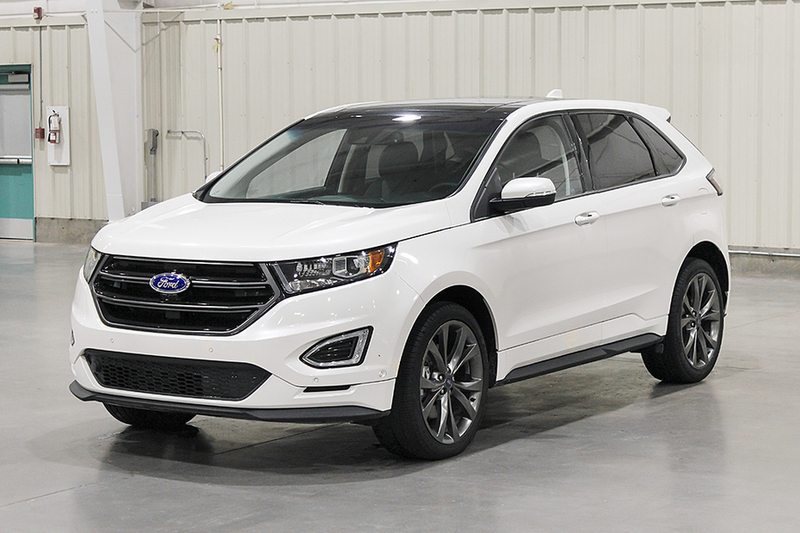 The 2017 Ford Edge received a five-star overall safety score from the NHTSA because of its standard safety features which include 8 airbags, a rearview camera, inflatable rear safety belts for outboard passengers, Forward Collision Warning, Lane Keeping assist and Departure Warning, Active Cruise Control and a Blind Spot Information System. To see the Edge up close, reach us at hello@curbie.ca or 1-855-842-0051 and we'll bring it to you for a test drive. 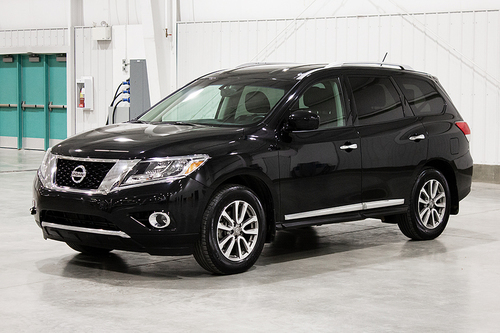 25,427 kms, 6 Speed Automatic, 4 Door, 5 Seats, 2.7 Litre 6 Cylinder, All Wheel Drive. 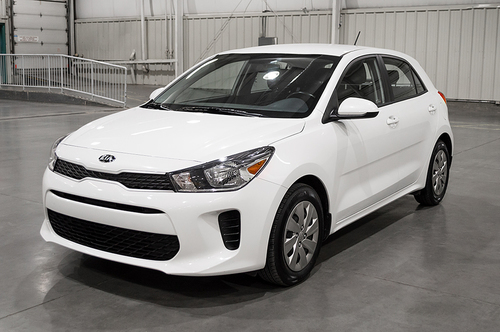 *Financing Details: Monthly and Bi-weekly financing are representative offers based on selling price (or "cash price") of $36,870 + PST of $2,212.20 + GST of $1,843.50 and financing fee of $135.00. Totals of --- paid Monthly and --- paid Bi-weekly over --- months at an interest rate of ---% a.p.r. Total cost of credit for monthly payments is --- and for bi-weekly payments is ---. Financing requires credit approval.